Offical blog for www.painfreehomework.com , your site for getting answers to your homework questions. Below is a list of 10 outstanding websites for homeschoolers. We've been using these resources for years and wanted to share them with you. 1. 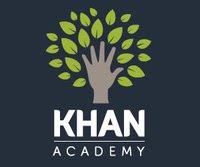 Khan Academy - Sal Khan has taken a new groundbreaking approach to education. He began by tutoring his niece via YouTube videos and has since revolutionized education. His site has grown tremendously and now includes thousands of educational v ideos. Khan Academy includes a map of knowledge and was recently featured on 60 Minutes. 2. Homeschool Math - This educational site is a wonderful resource for math games, puzzles and worksheets for kids of all ages. 3. Let's Homeschool - Kindergarten through 12th grade homeschooling resources including curriculum, standards, organization and a wide variety of subjects. 4. Math Game Time - Educational website featuring free math games, worksheets, homework help and videos from Pre-K through 7th grade. 12th grade students. This site offers a plethora of links, tutorials and grade level help. 6. Homeschool Helper Online - Dedicated to homeschoolers who want to help each other. Includes unit studies, worksheets, phonics, computer lessors and record keeping. videos and homework help covering subjects like Language Arts, Geography, Vocabulary and Spelling. 8. Mr Nussbaum - Greg Nussbaum has taken his teachings and created a wide variety of educational games. His games are creative, fun and cover a variety of topics. 9. BrainPop - Covers Health, Science, Technology, Math, Social Studies, Arts & Music and English movies, quizzes, activity pages and school homework help for K-12 students. 10. The Homeschool Mom - Serving homeschool moms for over a decade. Helpful info on curriculum, high school, college and teacher resources. We hope you enjoy these primarily free homeschooling sites and apps. For more homeschooling resources, check out this list of 5 tips for Homeschoolers. Also check out Splash Math apps. They are fun interactive and are aligned to common core standards. They are available for grade 1 to grade 5. Thank you Dear Admin for this kind of help!!!!!! It is really a nice site!!!!! We are also trying to help people by providing all the solution of their course. Now student can get their course solution from there... It would make their study easier..
get homework help from here!!!!! Thnx for the list. I would also include here Homework-desk.com. With its homework help, students can forget about any studying troubles. Thanks for sharing the list.Keep posting valuable content like this. There are so many firms who are providing assignment help writing services. Just Question Answer is one of the best websites, where thousands of tutors are available and providing assignment help to the students of US universities. Hey, I know I'm a little late to the party but I thought I should mention my site here. Our main purpose is to assist in homework research but we also offer assignment help. It is free for assignment outline and assistance. We only charge for the complete homework assistance. Just check out the two offers at our Assistance page and if in need of just research alone go to our home page and try us out Home. I pasted a website that might be helpful to you: Evolution Writers Good luck! Awesome blog its very interesting for PHP assignment Help. This is really great work. Thanks for sharing this blog, I really enjoyed reading your post. This is really interesting information for me. We also provide Cdr report help. Thanks for sharing such a nice piece of information to us. This is very knowledgeable for me. Cheap Assignment Help in Australia. 24*7 US Assignment help anytime in US.